DUBAWI (IRE) (Bay 2002-Stud 2006). 5 wins-3 at 2, Irish Two Thousand Guineas, Gr.1. Sire of 813 rnrs, 601 wnrs, 106 SW, inc. Postponed (Ascot King George VI & Queen Elizabeth S., Gr.1), New Bay, Al Kazeem, Luck or Design - Lucky Nine (H.K. ), Prince Bishop, Makfi, Red Dubawi, Monterosso, Hunter's Light, Srikandi, Night of Thunder, Dubawi Heights, Happy Archer, Secret Admirer, Tiger Tees, Akeed Mofeed, Shamal Wind, Sheikhzayedroad, etc. BOSS LANE (g. by Dubawi). 7 wins. See below. Albertical (f. by Magic Albert). Winner at 1000m in Aust. Niblah (f. by Magic Albert). Placed in 2015-16 in Aust. The Score (g. by Dubawi). Placed in Aust. Rough Chance (Rock of Gibraltar). 3 wins to 1400m, A$126,260, SAJC CBUS H., Allan Scott Park Morphettville H., AV Jennings H., 2d SAJC City of Marion S., L, Laelia S., L, TRC Bow Mistress S., L, SAJC Australian Peacekeepers Anniversary 2YO H., Schweppes H., Greg Le Poidevin Memorial H., 4th SAJC Yallambee Classic, Gr.2, MRC Twilight Glow S., L.
Formal Attire (Danehill). 3 wins at 1000m, 1250m, A$83,710, MRC Rajah Sahib H., Leopardstown H., 2d MRC Always There H., MVRC ME Personal Loan Flying H., WATC Airconditioning Mart H., 3d WATC Summer Scorcher, L, MRC Marmion H., MVRC FCM Business Travel H., WATC Perth Meat Exports H., Playeronline.com.au H.
Epic (Stratum). 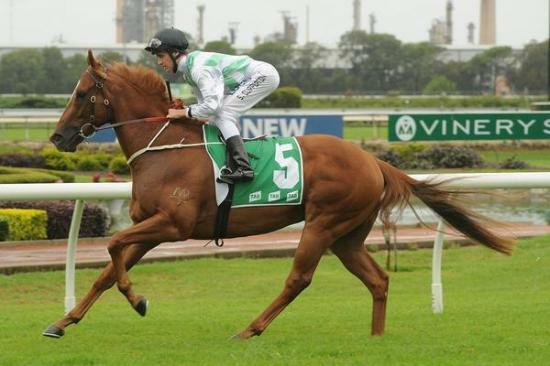 10 wins from 1200m to 1650m, A$412,900, to 2015-16, BRC Bottle-O H., Courier Mail Queensland Taste H., Brc.com.au H., Courier Mail Taste H., Pacific Thoroughbreds H., 2d BRC Members' H., L, 3d BRC Lord Mayor's Cup, Gr.3, Wayne Wilson S., L, Qld Tatt's RC Tattersall's Mile, L.
Mighty Maverick (Snitzel). 2 wins at 1200m, 1400m to 2015-16, HKJC Kranji H., 3d ARC Mr Tiz Trophy, Gr.3. ATEATES (Zeditave). 6 wins-2 at 2-to 1200m, A$644,745, AJC Silver Shadow S., Gr.2, Expressway S., Gr.2, MVRC Champagne S., Gr.2, SAJC Yallambee Classic, Gr.2, STC Jasdell 2YO H., 2d AJC Challenge S., Gr.2, MVRC Norman Carlyon S., Gr.2, AJC Brian Crowley S., L, 3d SAJC Goodwood H., Gr.1, AJC Challenge S., Gr.2, Stan Fox S., Gr.2, STC Magic Night S., Gr.2, Sweet Embrace S., Gr.3, MVRC Ian McEwen Trophy, L, 4th AJC Galaxy H., Gr.1, TJ Smith S., Gr.2. Producer. Palmera Lad (Tale of the Cat). 3 wins from 1200m to 1800m, A$79,250, to 2014-15, BRC Austcover H., 2d BRC Bundaberg Distilling Company H., 3d Gold Coast Guineas, Gr.3, BRC Bremer Ford H.
Soapy Star (Dubawi). 5 wins-3 at 2-to 1550m, A$314,425, ATC Pluck at Vinery 2YO H., Canterbury BMW 6 Series Grand Coupe H., MVRC LF Signs Inglis Bonus H., 2d Gold Coast Bracelet, L, ATC Big Sports Breakfast H., 3d Scone RC Inglis 2YO Challenge, ATC Facebook.com Sydney Carnival H., Cormack Packaging H., 4th Newcastle JC Tibbie S., Gr.3. TRUE GLO (Brief Truce). 9 wins-2 at 2-from 1100m to 1600m, A$695,325, Queensland Guineas, Gr.2, BTC Sprint H., Gr.3, STC Ajax S., Gr.3, MRC Tupperware Cup, L, MVRC Waterford Crystal Trophy H., MRC La Trobe 2YO H., Carlton Draught H., 2d VRC Emirates S., Gr.1, MVRC Manikato S., Gr.1, Valuebet H., AFL Grand Final H., 3d STC Canterbury S., Gr.2, MRC Victoria H., Gr.3, Grand Cidium H., 4th MRC Toorak H., Gr.1, BTC Doomben Classic, Gr.3. Race Record: 30 Starts 7-1-3 A$474,505. 7 wins-1 at 2-to 1250m, A$474,505, to 2015-16, ATC Brian Crowley S., L, Summer Sprint H., William Shaw Knitwear H., Xirrus H., TAB Rewards H., TAB Place Multi H., TAB Iphone App 2YO H., 2d ATC Show County H., Gr.3, 3d ATC Challenge S., Gr.2, Fireball S., L, Razor Sharp H., L, 4th ATC Canterbury Classic, L.